Today, parents are increasingly beginning to worry about what food their child is consuming, and rightly so. Children are exposed to a plethora of unhealthy food choices. In 2017, a survey by the Centre for Science and Environment, New Delhi, revealed that 93 per cent of school-children in the country were eating packaged foods—chocolates, ice creams and salty food like chips and noodles—more than once a week. Almost 27 per cent of schoolchildren were consuming products churned out by fast food outlets—burgers and pizza—more than once a week. Parents need to ensure that their child eats good food, but children are difficult to please and convincing them to eat healthy food is an everyday challenge. 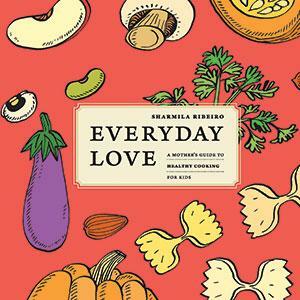 Sharmila Ribeiro, a former rural development professional, has come out with a book that could help parents prepare tasty and healthy foods, both for school as well as home. It provides a mix of Indian and international foods with easy recipes. It has recipes for pizzas and burgers, but ensures that the final product is a healthy version of what is available in the market. For example, instead of using potatoes for making tikkis, Ribeiro provides recipes that uses daliya (broken wheat) or fox tail millet with spinach and corn to make a healthier tikki. The book has recipes for breads, soups, after school snacks, cold drinks, fast foods, dips, sauces and treats. These are accompanied with photos that could tantalise the child. 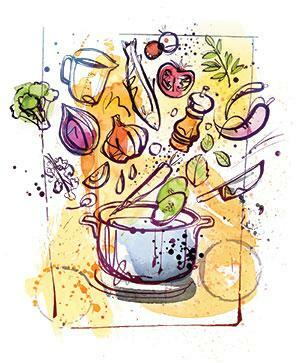 The author provides handy tips and alternative methods for cooking. For example, it makes sense to prepare curd rice with plain milk mixed with a little curd so that it does not get too sour by lunch time. Many of the recipes can be prepared the night before to help ease the morning rush. Ribeiro has a clear favourite among the 170 recipes. She roots for hummus, which she says is healthy and versatile. The dip is from the Middle East but all the ingredients, including chick pea, sesame seeds and olive oil, are available locally. It can be eaten with rotis, spread on bread and works well even with vegetable sticks, she says. This can be easily stored for over a week. The question remains whether children would eat hummus which is sometimes not very appetising to look at. “Now with TV food shows constantly showcasing international food, children will be happy to accept them,” says Ribeiro. 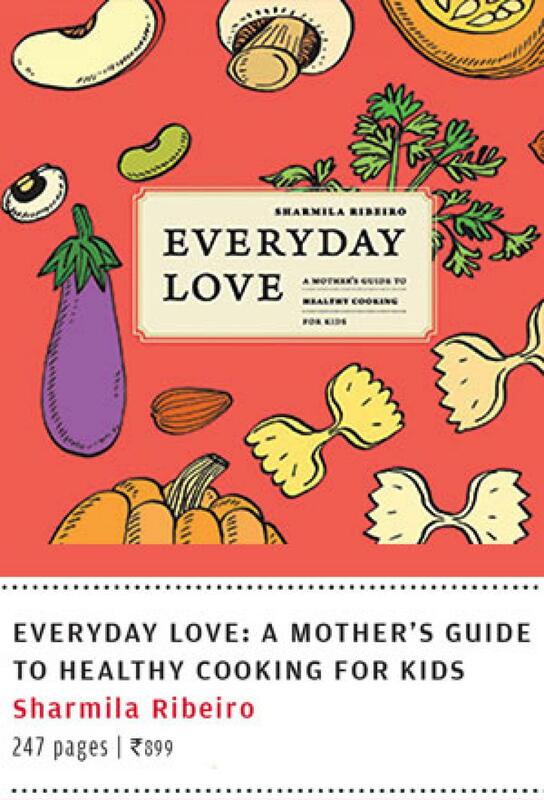 But the book’s focus on international food can be very expensive for many parents. Avocados, the main ingredient of guacamole, are available for R140 for 500 g in India. Fortunately, not all recipes fall in this category and there is something for everyone in the book. Ribeiro provides a quick guide to healthy eating in the beginning. This includes a basic primer on nutrition, explanation on healthier cooking methods and the importance of planning for the whole week. She feels that involving the child in the process of cooking can help the child embrace healthy food. The objective of the book is to promote the natural taste of food and ensure that children prefer this over processed and unhealthy foods. (This article was first published in the 1-15th June issue of Down to Earth under the headline 'What's cooking').